home/ » WHAT TYPES OF CONSERVATORY ROOF CAN YOU CHOOSE FROM? WHAT TYPES OF CONSERVATORY ROOF CAN YOU CHOOSE FROM? In this article, we’ve put together a short guide on the various types of conservatory roof that you can choose from when you’re constructing a conservatory as an addition to you home. Conservatories are great extensions to add a little extra space to your home, but the choice of roofing available might leave you a bit bewildered. Glass roofing is the most common type of roofing chosen for a conservatory extension. This is because conservatories are typically used as rooms for guests or converted into special rooms for various activities; like a reading room or a studio. With a glass roof, you can open up the space to make it look more natural while reaping the benefits of sunlight during the day, which can help you save on your electricity costs. The most common type of conservatory roofing material is uPVC, which is used for window and door frames. It’s easy to maintain but it’s not particularly adventurous when paired with standard glass. When people look at glass for their conservatories, they tend to choose between thermally efficient glass to stop heat escaping, self-cleaning glass, or tinted/anti-glare glass. However, these roofing materials can cause excessive heat in the summer and an unusable space in the winter. Conservatories should be as practical as they are aesthetic. Consider, for a moment, that instead of a glass and uPVC roofing solution, you chose a tiled roof for your conservatory. Not only would you have the advantage of an extension that you can use all year round without overheating the room, you could also install a skylight for that natural look that you’re trying to achieve. A tiled conservatory roof is the best of both worlds when it comes to conservatory roofing options. Tiled roofing will help you avoid any damage to the structure of a conservatory which can occur when heavy or unsuitable materials are used. You’ll also have a range of colour options, which you wouldn’t be able to achieve with a glass roof; even tinted glass is limited to a select few colours that don’t offer any real change in style. With a tiled roof, your conservatory becomes less like an extension for guests or a sun room, and more like an extra room for your home. Tiled roofing gives you more privacy, and the option of adding lighting to the ceiling of your conservatory; which you wouldn’t get with a glass roof. 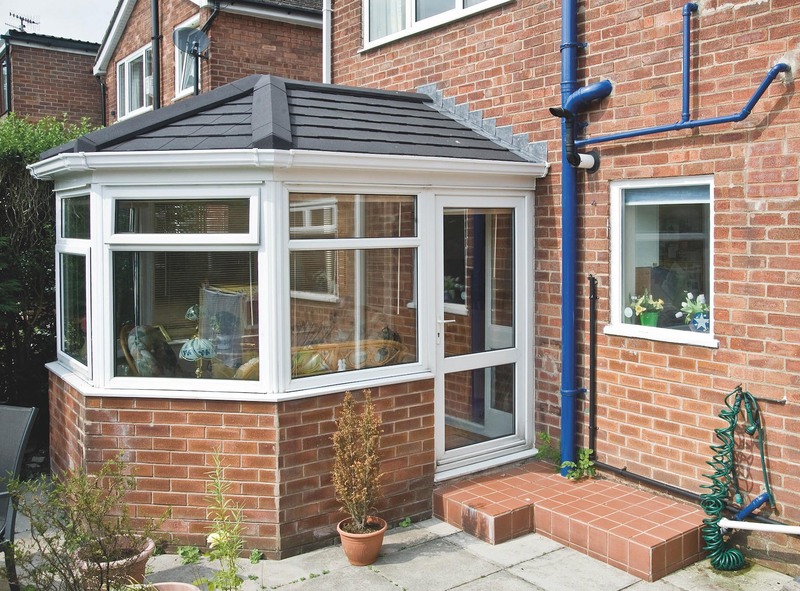 You could also add insulation to your conservatory with a tiled roof, which wouldn’t be easily accessible if you were to go with a glass roof. When you’re looking for a lightweight roofing solution, enquire with Metrotile, who can supply roofing for your conservatory at a competitive price. Metrotile are Europe’s number 1 in lightweight steel roofing systems, offering you expert solutions for your conservatory, as well as a forty-year guarantee. A glass roof with a uPVC structure wouldn’t last anywhere near as long as a tiled roof, which are made to be hardwearing and effective. To find out more about Lightweight roof tiles for your conservatory roof, get in touch with Metrotile by calling us on 01249 658 514 or you can fill in our contact form.